When the Iyers from Tamil Nadu packed their bags and moved to the neighbouring township of Palakkatudesham (now Palakkad) centuries ago, they brought with them their language and their customs. But that’s not all they brought. Tucked away in the thalappu of their Madisars were their secret recipes. 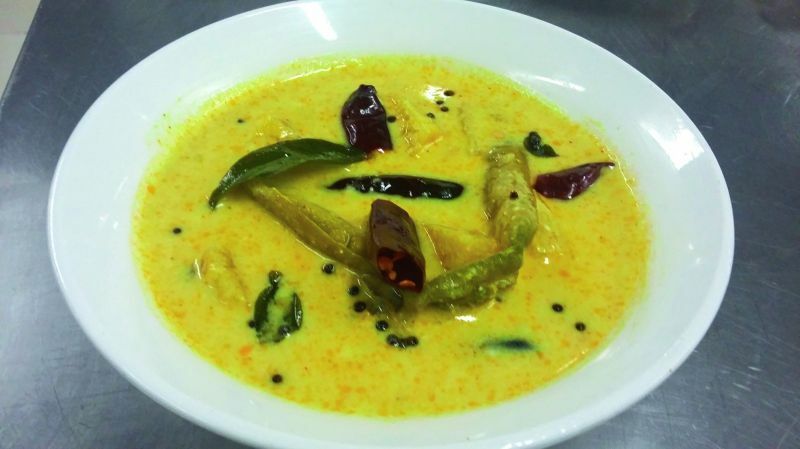 As the community flourished in Kerala, the cuisine mingled with the local taste. Their food soon absorbed the goodness of coconut and its products. 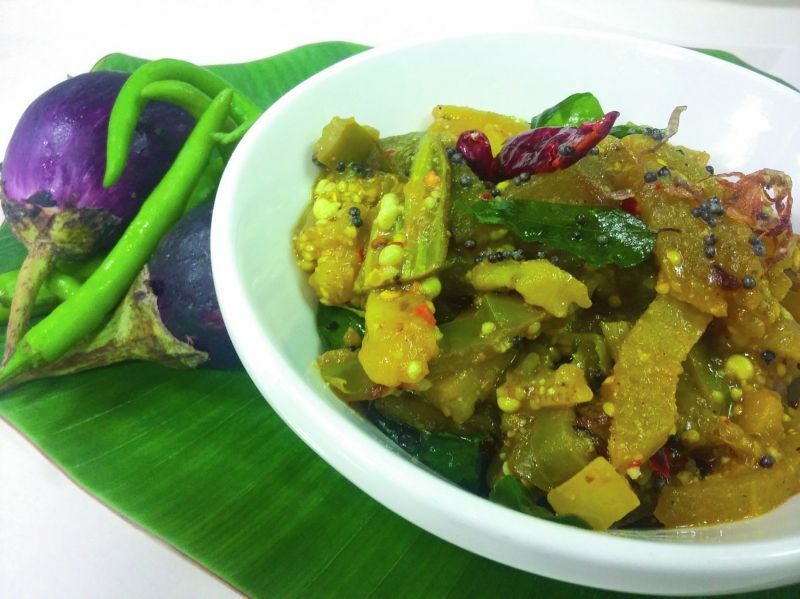 Being in the valley of the Western Ghats, locally grown and seasonal vegetables play a major role in their cuisine. For the Palakkadan Iyers, who boast of a cuisine rich in vegetarian home cooking, the secret recipes have been handed down from generation to generation. Today, as eating patterns change, these authentic recipes face the threat of abandonment. 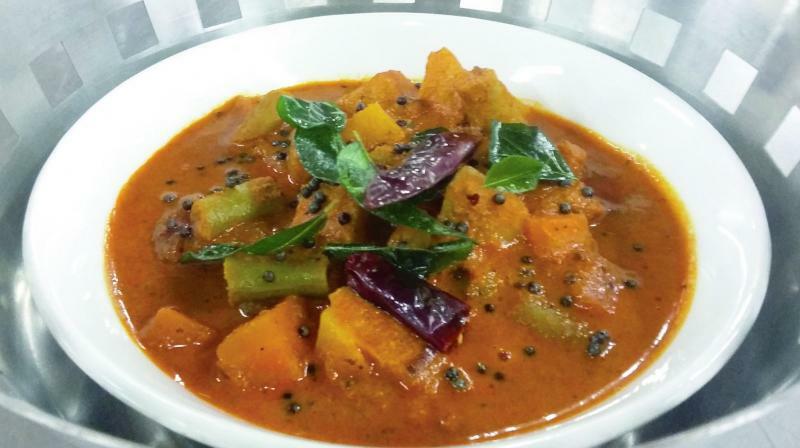 Here are some of the recipes that are disappearing from the Palakkad Iyer’s kitchen. Peel and cut the pumpkin and ash gourd into small pieces. Soak the tamarind in water and extract juice. Dry roast the rice, red chillies, methi seeds and hing and powder it. Heat oil, sauté green chillies, pumpkin and ash gourd. Add turmeric, salt and tamarind juice with two cups of water. Simmer over low flame till it is half done. Mix in the powdered spices and jaggery. Mix well, cook and remove from the fire. Heat little oil in a pan. Splutter mustard, red chillies and curry leaves. Pour over the curry and serve with white rice. Clean and cut all the vegetables into finger size. Dry roast the rice, chillies and methi seeds and powder it. Cook the vegetables with tamarind, turmeric, salt and enough water till it is half done. Add the powdered spices and jaggery and mix well and cook on low flame till all the vegetables are cooked and water is absorbed. Heat oil, splutter mustard, curry leaves and red chilli. Add hing and mix with the cooked vegetables. Remove from fire and serve hot with rice. well with turmeric and salt. Once the dal is cooked and mashed well, add it to the ash gourd and mix well with the back of the spoon. Add the raw coconut oil and curry leaves and remove from fire.